This photo was taken indoors. The camera meter sees harsh background lighting and shuts down quickly, rendering the foreground subjects dark and with a loss of detail in the shadows. 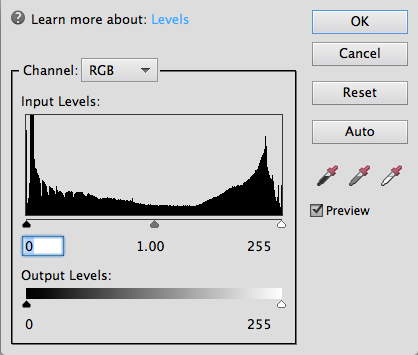 As a first step in your editing process, open the Levels dialog box by choosing Enhance→Adjust Lighting→Levels. The histogram displays recoverable data; for this photo, most of the data appears on the left and right where the highlights and shadows are. The middle of the histogram shows much less data. Click Cancel in the Levels dialog box when you’re done looking at the data. 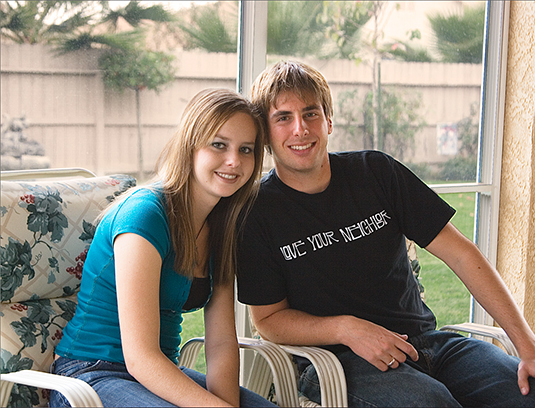 Most of the photos you take can benefit from making a Shadow/Highlight adjustment. Choose Enhance→Adjust Lighting→Shadow/Highlights. 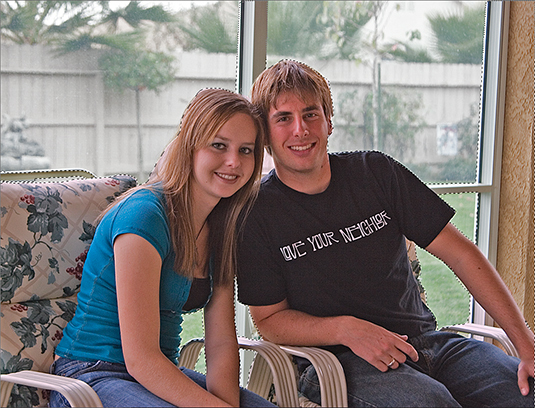 Lighten up any shadows by moving the Lighten Shadows slider to the right. Darken any highlights by moving the Darken Highlights slider to the right. Be certain the Preview check box is selected so you can see the results in the photo. After you make your correction, click OK.
It’s best to isolate the foreground subjects from the background elements so you can make further adjustments to each independently. In this photo, the skin tones need a color adjustment, and the background is too cool. Use the Quick Selection tool to make a selection. Drag around the objects you want to select. Add the Lasso tool or the Magnetic Lasso tool to tweak your selection if needed. After you a make the final selection, choose Select→Save Selection to save it so you can reload the selection if needed while working on your brightness and color adjustments. 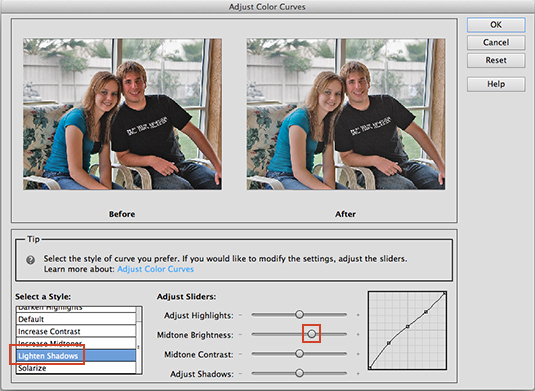 With the foreground selected, choose Enhance→Adjust Color→Adjust Color Curves to open the Adjust Color Curves dialog box. 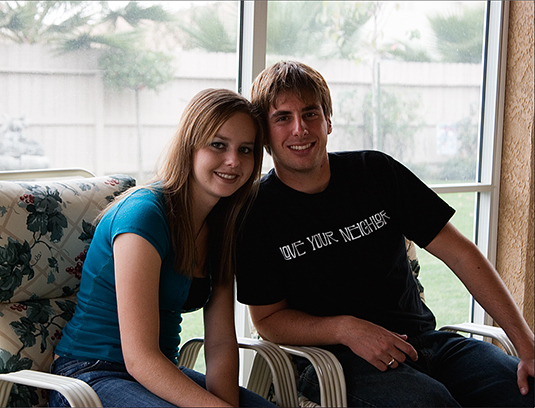 For this photo, the shadows were lightened (choose Lighten Shadows from the Select a Style list), and the midtones were lightened (move the Midtone Brightness slider to the right). Click OK when you’re done. The skin tones in this photo require some adjustment. 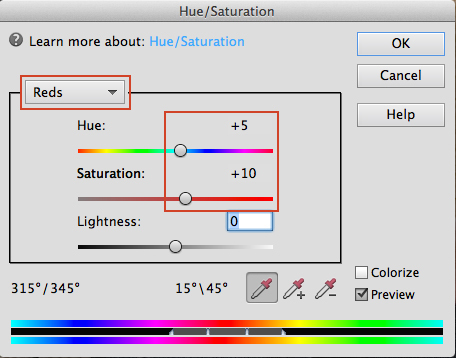 Be certain you have the foreground selection active and choose Enhance→Adjust Lighting→Hue Saturation to open the Hue/Saturation dialog box. From the drop-down menu, choose Reds. Move the Hue slider slightly to the right to adjust hue and move the Saturation slider to the right to saturate with more red in the selection. Inverse the selection by choosing Select→Inverse. (If you lose your selection, choose Select→Load Selection and click OK.) The background should now be selected. 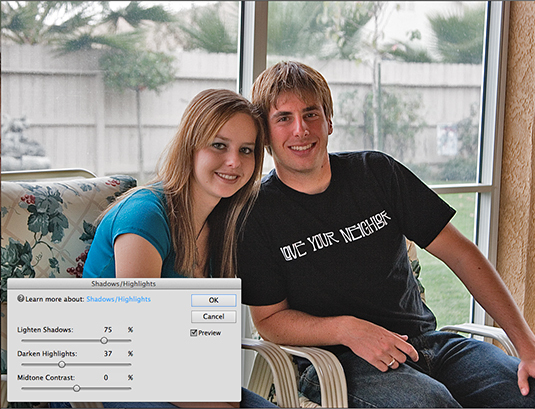 Choose Filter→Adjustments→Photo Filter to open the Photo Filter dialog box. 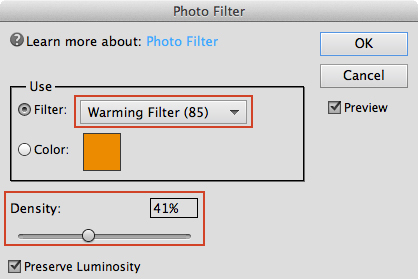 From the Filter drop-down menu, choose Warming Filter (85) and move the Density slider to the right to warm up the background. Be certain the Preserve Luminosity check box is selected so you can dynamically see the results in the photo as you move the slider. Click OK in the Photo Filter dialog box. The final image should appear much better than your original snapshot.